Etch Layered Glass Using Stencils & Color With Pencils/PanPastel Colors To Make a Framed "Herb Garden"
Etched surfaces have a wonderful "tooth" and can easily be colored with colored pencils and more. 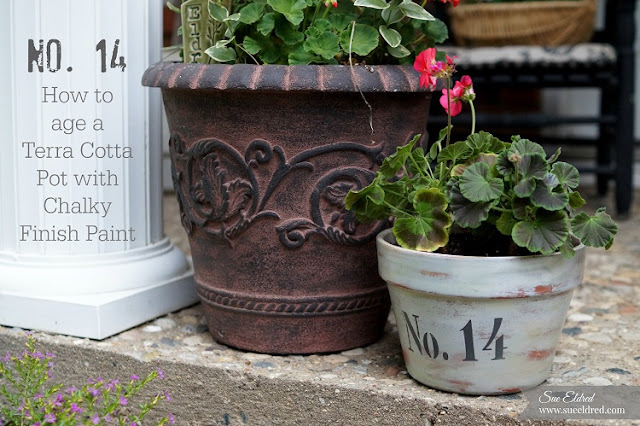 Etch Layered Glass with Stencils: "Grow Love" Herb Garden. Etch a plain pint glass with your favorite design and they become part of the party! 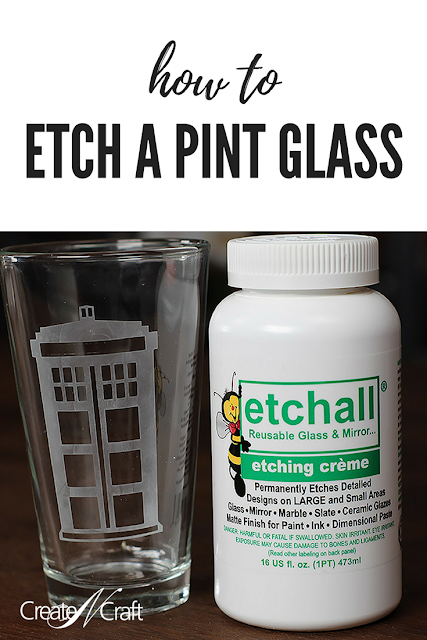 It's easy to transform any glass piece by using etchall® etching crème. 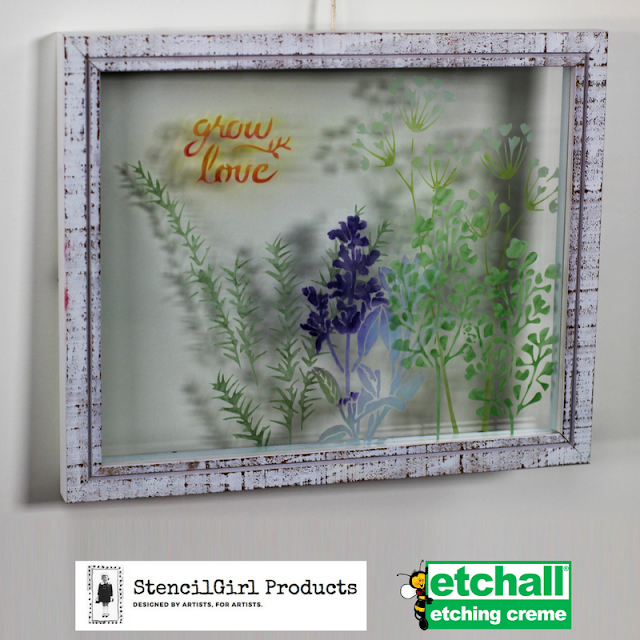 etchall is a re-usable crème that permanent etched finish on glass, mirror, ceramic, porcelain, marble and slate.